Welcome to the Blinx Fanlisting! 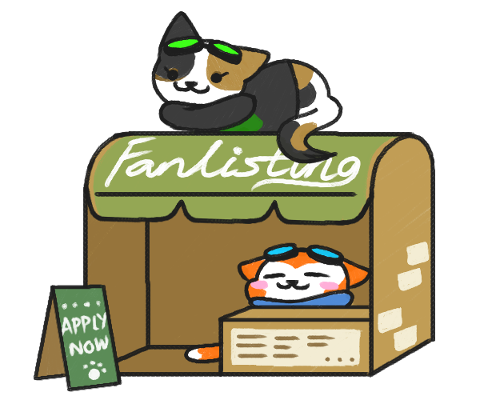 ​The Blinx fanlisting is an online list of Blinx fans, a fun way to collect fans in one place. It's free to join, the only requirements are your name, country and a valid email address. Website links and taglines are optional. Email addresses are not published on the fanlisting. You'll be notified when you've been added to the list by email. "Residing in the Time Factory's dumpster fire." "Also BLiNX trash #1, 'least in western hemisphere"
"Blinx was the one who got me into video games." "​BLiNX always has a special place in my heart!" "​​I love Princess Lena so much it hurts"
"Blinx is the best around." "​I like blinx&sonic, and also destiny&titanfall :3"
"The world of Blinx is amazing"
"That one Blinx Fan who is a Car Enthusiast"
"​Always using rewind in multiplayer." "​​I write too much, and now it's about Blinx, too"
"​I have been a halo and blinx fan since i was 3"
"​I GOT THE TS-X7 SUPREME! GET ON MY LVL BOOOOIS!" "​Big fan of Blinx, was my first video game." "Bringing tacos and mojo through time and space." "Blinx 1 was my first console game, it's dear to me"
"I make videos about games, then eat unhealthy food"
"Blinx has been my favorite game for years!" "sometimes I do things but mostly sleep"
"Playing Blinx to this day. I can draw (badly)"
"I really like the games. Thanks for helping out." "Blinx is the Xbox mascot, and he will be forever." "I'm snek, and this game helped make me a furry." "Tis I, Bryno the dino!" "I played BLiNX in my childhood"
"Someone just hand me Bazooka ammo and I'm set"
"Game developer with a great interest in BLiNX"
"A man with all but 2 cat medals.."
"Blinx was the first game i played at a young age." "I love time manipulation and I like cats." "My name has enough info to describe me." "I LOVE EVERYTHING about this games ;w;"
"loved the games for ages, fave power is record ^^"
"Gatekeepers are my sweet babies"
"Reviving old mascots is a game dev dream of mine." "Game developer - wanting to make blinx reboot." "Maybe possibly has at LEAST 4 copies of Blinx"
"Time sweeper of the month, jul 3064"
"Go go gadget time control!" "Just some 17 year-old furry with a Blinx obsession"
"I love the characters and story! Blinx is my fav!" "Thanks for the memories blinx"
"I like to root for the losing team"
"The meowr the purrier. Hahaa." "Blinix 1 is best game evr and Sonic is a bad"
"Fruits, Bats, Cats, and Blinx." "Um, BLiNX data miner and archival enthusiast"
"Blinx was my childhood. Diehard Blinx fan!" "How did Master Chief win again?" "If I were Blinx I would sweep time"
"When hell freezes over it'll be called Everwinter." "The only guy who makes Blinx Fan-Art in SFM. Yes." "Blinx is awesome. You can’t sway me. Go Blinx!"